So many drivers are looking to get into the hatchback family, and the Hyundai Elantra GT is a great way to do it. This exciting take on the classic Elantra sedan offers more room and utility while keeping the reliable, energetic drive of its cousin. 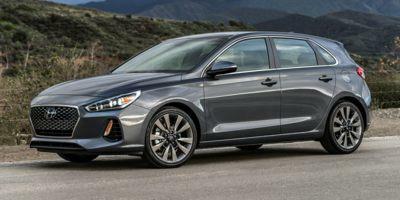 Available at both our Webb Hyundai Merrillville and Webb Hyundai Highland locations, the Elantra GT is ready to take the Hammond, IN area by storm, so get in today and check out everything it has to offer. The standard engine option provides plenty of power to give you a fun drive near Gary, IN. If you need some extra strength, then opt for the 1.6-liter Turbo engine and seven-speed dual clutch transmission. Drive Mode Select is an excellent performance feature that lets you switch between automatic and Dual Clutch Transmissions. With its entertaining drive, the Elantra GT will make you forget that you also have plenty of flexible cargo space. This crossover offers plenty of technology to give you a modern ride near Lansing, IN. For starters, have a look at the standard entertainment system with a touchscreen and voice recognition technology. Apple CarPlay™ and Android Auto™ capabilities help you fully integrate your smart devices into your drive. Also check out available features like wireless device charging, ventilated and heated front seats, and more. Safety is hugely important on a family car like the Elantra GT, and this hatchback comes loaded with effective features for your protection. Available advanced features like Smart Cruise Control, Blind Spot Detection, and Lane Keep Assist all help you make split-second decisions that you may not have time to on your own. The Elantra GT has a history of performing very well on safety tests, so you know it's the way to go for safe driving near Crown Point IN.